I've been busy lately. Between raising my sweet daughter, trying to excel at my coursework, serving in my Church callings, and spending as much time as I can with my incredible boyfriend, I still try to keep up with my running and my workouts. It's working so far. The way I stay committed to training is just by signing up for races so I have to keep up with my training. 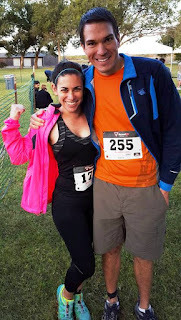 And this last race I completed, I had the pleasure of completing it with my incredible boyfriend, and I know I wouldn't have been able to finish it without his support and his help. Quite literally his help; I am way too short and currently lack the upper body strength to have made it up some of those tall obstacles on my own. 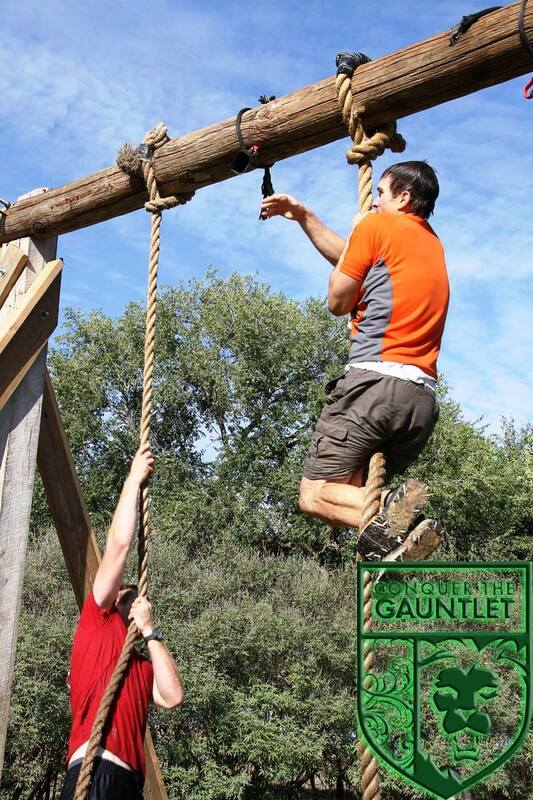 The Gauntlet is a 4-mile race with a whopping 25 obstacles! It supports the charity Folds of Honor that helps the spouses and children of those who have been killed or disabled in military service. With the Air Force as one of the sponsors for this race, I felt it was a great fit for me as an Air Force veteran. They had a heartfelt recognition ceremony for all who served in attendance. 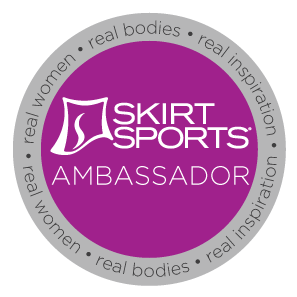 As what I wear when running is important to me, you know, because I feel if I look cute then I will perform even better, I decided to sport my Skirt Sports Fearless capri and Super Girl tank. Really, the names just made the outfit a great match for this event. Fearless and super were both traits I needed to conquer the Gauntlet. 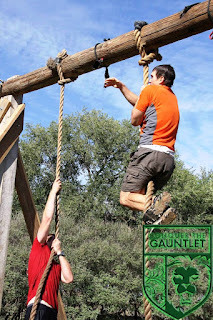 This was, hands down, the hardest and most challenging obstacle course race I have completed to date. If it weren't for Alex running it with me, there was no way I would've been able to overcome some of these obstacles! 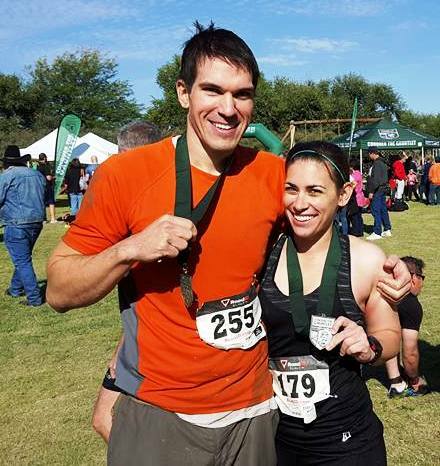 I was already having a pretty hard time that day since I was more sick than usual with my thyroid disease, but I still went out eager and ready to compete and complete something physically challenging. The gauntlet for sure helped me accomplish this goal. The obstacles were quite diverse and included giant walls to climb over: some with ropes, some with tires, some at a slant, and some that were just super tall and had no accessories to help with the ascent. A variety of upper-body climbs like monkey bars, rope and ring swings, a rope climb, and this crazy ladder-type monkey-bar hybrid. There was also a sandbag carry, a burpee station, and a terrifying submerged barrel dunk. These obstacles were physically testing, that's for sure! The only improvement I would recommend to this race would be to have more race photographers. With all 25 obstacles, there was plenty of opportunity for great pictures and a place for the photographers to stay. Although they did include free pictures with this event, there wasn't a single picture of me. I am glad I found a couple pictures of Alex owning the rope climb obstacle though. He was just so awesome on all of the obstacles. Like a boss. We had a blast at this race though, and it was even a fitting choice as our first race together. Now that I think about it, this was the first race I've ever done with a guy ever, and it was exhilarating. I recommend this race to anyone who likes obstacle courses. You get the biggest bang for your buck, get to support a wonderful organization, and you even get a sweet medal at the finish. Just make sure to bring your own photographer if pictures are important to you.